There comes a time in many lives when something drastic has to be done to achieve the perfect smile. People consider braces first, as they are the clichéd solution. Though they are not the only option to straighten crooked teeth; Invisalign, or invisible braces, are a viable alternative. This article is to help answer some initial questions about Invisalign and if it could be the right option for you. The first step is to book an appointment with a dentist who is trained in Invisalign and go through the process with them. They will take X-rays of your mouth along with a mould of your teeth to make the BPA-free plastic or medical-grade resin trays. The dentist will be able to accurately track the progress of your treatment once the moulds and x-rays are final using 3D mapping. This will also be used to determine how long the treatment will take, which can take anywhere between six months to one and a half years. 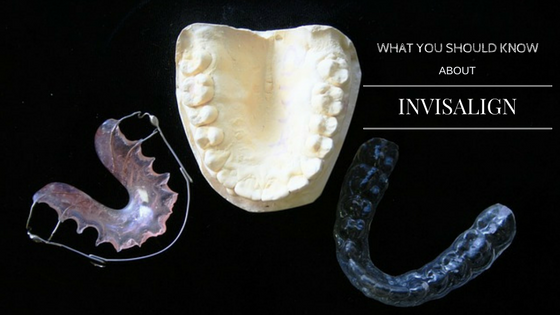 What are the main differences between Invisalign and braces? Braces are made of wire and affixed to your teeth for a determined period of time. They need regular maintenance and adjustment and the wires can cause rubbing or other discomfort if for some reason the wire snaps. Invisalign treatment is more flexible in the factor that you can remove the invisible tray as needed when you eat or brush your teeth. There will be some discomfort, but it won’t be severe. The trays, ordered from and picked up at the dentist’s office, can be adjusted fortnightly at home. Treatment costs are different with each dentist and you must discuss this with them. Factors include the length of treatment and the condition of your teeth. Consult your private health cover for potential coverage, usually found under the “Orthodontics” section. A perfect smile is not just a process, it’s an investment and one that needs serious thought. Invisalign braces offer less pain and more flexibility and are done through a dentist instead of an orthodontist.